Win more business and reduce development costs with design and engineering applications especially developed for the product, machinery and process plant design industries. Ensure that your designs are both functional and optimised, while simultaneously minimising the costs associated with creating physical prototypes. Take your designs directly into production with seamlessly integrated CAM software applications. Creating CNC toolpaths has never been this easy or accurate. Manage and secure your design data and intellectual property; enable collaboration and optimise projects; while maximising productivity with cost-effective technology. Plan, validate and optimise production with solutions that enable the design and placement of materials handling and manufacturing equipment within a facility. Attend a hands-on workshop and experience the power of the next generation of software that enables design, simulation and CAM all within a single, easy-to-use solution. This conference is a must for South African manufacturers using – or considering the use of – additive and advanced manufacturing methodologies. Hear, learn and interact with the experts. Design a miniature mechanical object – especially a novel or ingenious one – to make life easier, simpler, better or just more fun. 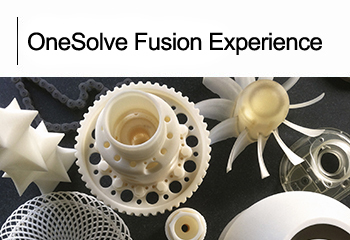 3D printers and Autodesk Fusion 360 software to be won in 5 categories.